These are the best. They’re so simple, just gorgeous flavours that work really well together. The wedges are crisp and spiced with paprika and cumin and the cooling yoghurt is garlicky with a hint of lemon. The avocado wedges thrown on top are the perfect compliment to the hot wedges and a bite with everything in it is just perfection. This is messy food, best served scattered out for everyone to pick at. 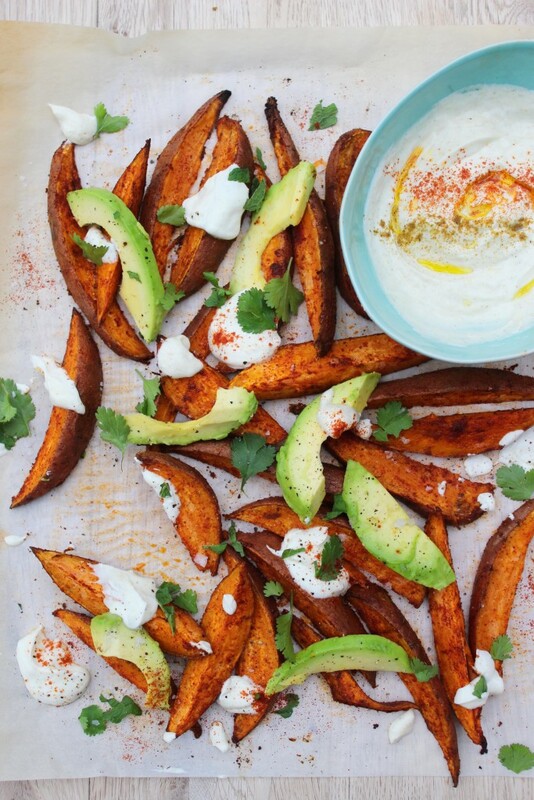 Wash the sweet potatoes and then chop them into wedges. Add them to a large bowl and drizzle in the olive oil. Sprinkle in the paprika, cumin and a good pinch of coarse salt. Use your hands to mix it altogether so that they’re evenly coated. Spread the edges out on a roasting tray and roast at 200’C for about 35 minutes, tossing once in the middle, until crisp. While they’re cooking, make the yoghurt. Add all of the ingredients to a bowl and stir well. 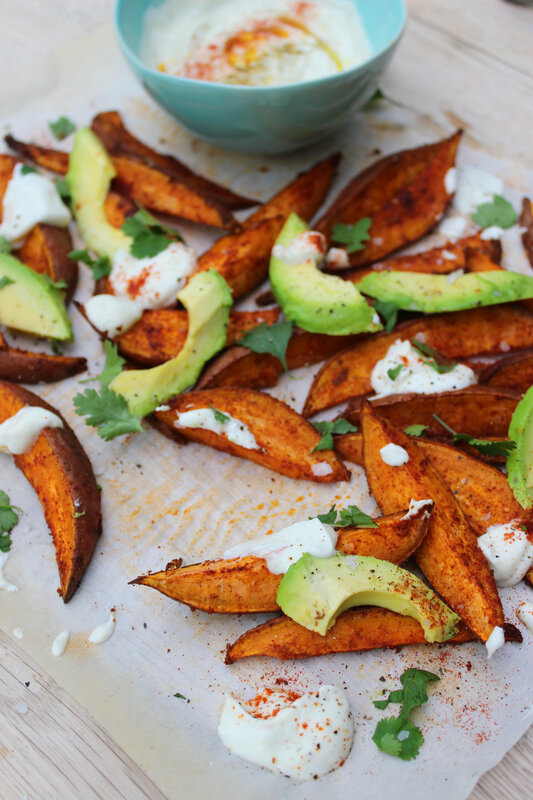 Plate the sweet potatoes and scatter some of the yoghurt sauce over them, then slice the avocado and sprinkle on the coriander.